Photo by kaeko from the Torontoist Flickr pool. With the warmth of summer finally here, Torontonians are coming out of hibernation and making use of the many City parks at their disposal. But these parks need to be maintained, they need programming, they need recreation staff, and they need groups of dedicated citizens who care about them. 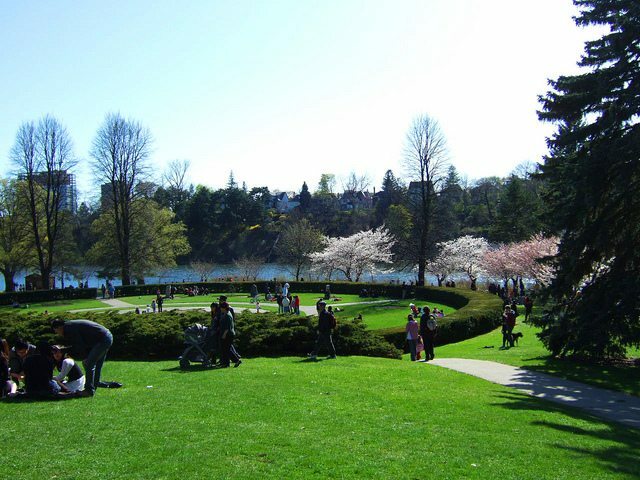 To this end, Toronto Parks People has launched Parks44, a program with the goal of starting a local parks group in each of the city’s 44 wards. Parks44 started in March, and, since its genesis, it has helped found four new parks groups. At the moment, only 20 wards have local parks groups, and most of those are downtown. This is ironic, considering that most of Toronto’s parkland is in Etobicoke, Scarborough, and North York. Parks groups typically contain a core group of four or five people. They hold meetings to collaborate and brainstorm ideas about what improvements they want to see in their respective parks. They then present their ideas to their local parks supervisor. Parks groups also hold public community meetings, and when this happens attendance usually ranges from 20 to 40 people. The Friends of Earl Bales Park provide a shining example of what a parks group can achieve. Like most parks groups, it has a small core of five people, but when it held a community cleanup day 200 people showed up to pitch in. They went through the park, stuffing bags full of litter and clearing away the junk and garbage left over from the spring thaw. According to Richard Ubbens, the City’s parks director, “Friends of” groups are excellent for these types of purposes. They’re very organized in what they do, and the City makes it relatively easy for residents to start them. There’s a guidebook on how to go about doing it, so anyone with the initiative and a passion for parks can get the ball rolling. The challenge in running these groups, however, is in balancing competing interests. “In areas of the city where you have a growing density of use because of the density of the population…that’s where you start to see competing interests. You have more eyes in the park that see things that need work,” says Ubbens. But mediating between different interests is what parks groups are for. Or at any rate, that’s the hope.